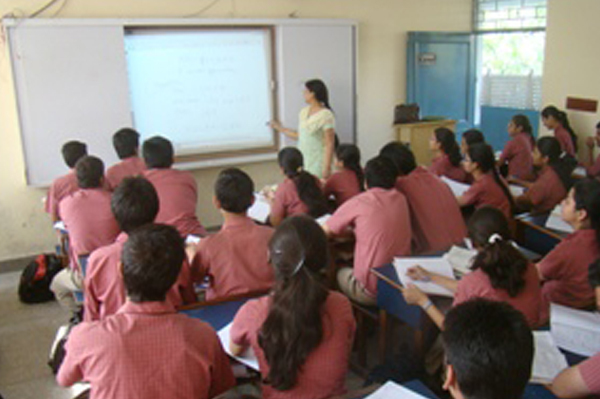 Smart Class: Programme has been introduced in classes (Class XI & XII). We plan to introduce it in all the classes. Each classroom covered so far has been equipped with a wall mounted LCD Projector and a Teacher computer CPU as well as a whole range of course material incorporating the CBSE syllabus with graphics, diagrams, illustrations and animation in 3D format. All this has made the classroom learning more interesting. E-Pathshala: E-Beam projection system converts the regular white board into interactive boards which is a touch screen having various features to impart learning effectively. Scantron: The Scantron machine has proved to be very useful for checking of MCQ’s.